When you set up Excel 2013 or Office 2013, it requests a Microsoft account to work with online services, such as SkyDrive or SharePoint. 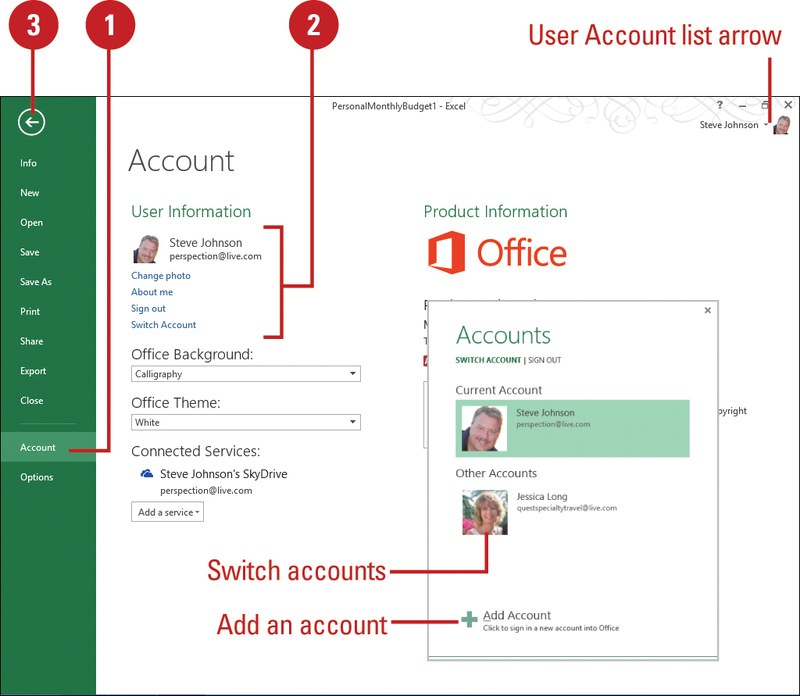 You can add, switch, or modify accounts or sign out entirely. You can also use to other online services (New! ), such as Flickr and YouTube for images and video, and Facebook, LinkedIn, and Twitter for sharing. Before you can use the services, you need to add them to Excel, which requires an established account with a user name and password. 1. Click the File tab, and then click Account (New!). Click the User Account list arrow, and then click an account option. • Change photo. Click to open your account profile. • About me. Click to open your account profile. • Sign out. Click to sign out of your account. • Switch Account. Click to switch or add accounts. 3. Click the Back button to exit the File tab. • Images & Videos, and then click Flickr or YouTube. 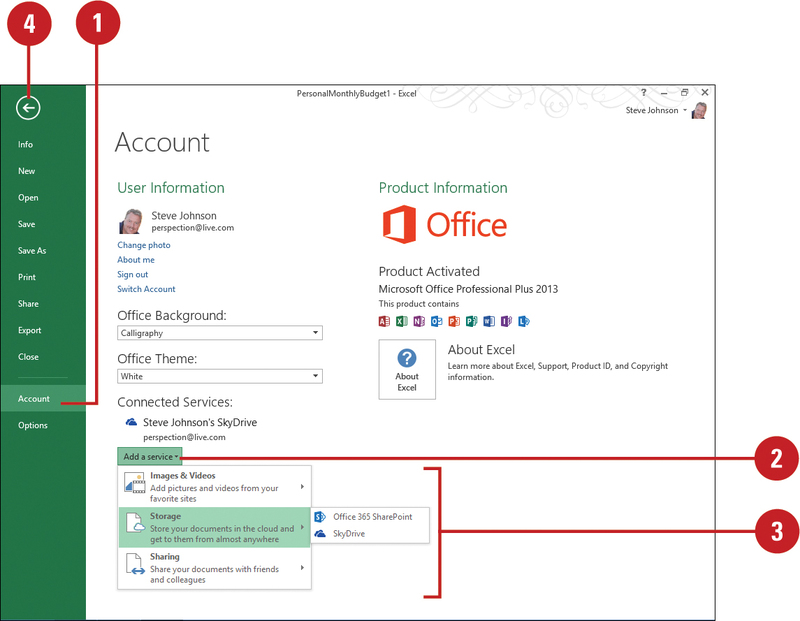 • Storage, and then click Office 365 SharePoint or SkyDrive. • Sharing, and then click Facebook, LinkedIn, or Twitter. 3. Follow the on-screen instructions to add the service. 4. Click the Back button to exit the File tab.